As I mentioned previously, Australian strategists are a good source of analysis on China-US defense issues in the western Pacific because they are caught in the middle and have to think realistically about the situation. @3:30 min: A2AD by DF21 / DF26 ASBM a fait accompli? 9 dash line to become a reality? Is containment broken? See earlier post The Pivot and American Statecraft in Asia. I linked to the report below some time ago. With the recent launch of the Yaogan 19 satellite China has in place an advanced space capability to identify, locate and track an Aircraft Carrier Group (ACG) on the high seas. This space capability is an important component of an Anti-Ship Ballistic Missile (ASBM) System that China has set up. The current 19 satellite constellation consists of ELINT satellites, satellites carrying Synthetic Aperture Radar (SAR) sensors as well as satellites carrying optical imaging sensors. Based on the orbit characteristics, their local time of equatorial crossing and other related parameters, these satellites can be grouped into different categories that perform the various functions for identifying, locating and tracking the ACG. Yaogan 9 (Yaogan 9A, 9B, 9C), Yaogan (16A, 16B, 16C) and Yaogan 17 (17A, 17B, 17C) are the three clusters that are equipped with ELINT sensors that provide broad area surveillance over the Oceans. With a coverage radius of about 3500 Km, they provide the first coarse fix for identifying and locating an ACG in the Pacific Ocean. Yaogan 13, Yaogan 10, Yaogan 18 and Yaogan 14 are the satellites carrying a SAR sensor. With Local times of crossing of 02 00, 06 00, 10 00 and 14 00 hours and a resolution of 1 to 3 m , they provide all weather as well as day and night imaging capabilities over the regions of interest. Yaogan 11, Yaogan 4, Yaogan 2 and Yaogan 7 constitute the high resolution optical satellites in the current constellation. The sensors they carry may have resolutions of between 1 to 3 m.
The analysis and the simulation results suggest that China has in place an operational ASBM system that can identify, locate, track and destroy an Aircraft Carrier in the Pacific Ocean. This seems to be an important component of a larger Chinese Access and Area Denial Strategy focused around a conflict over Taiwan. Over the summer I bumped into a micro-satellite startup guy at the Googleplex and we got onto the subject of imaging aircraft carriers from space. He thought a carrier group would be easy to image and couldn't possibly survive a serious conflict in the Pacific. This talk was given at the meeting Effective Altruism Global 2016. Includes a good warning about IQ signaling and some advice on how to market a movement to neurotypicals. Slides. These are not surprising results, given that identical twins raised apart tend to have nearly identical facial morphology. It's implausible that most of this heritability is due to rare variants. If large GWASes would take photos and video of individuals in the study, genomic prediction of facial morphology could advance dramatically using face recognition algorithms. 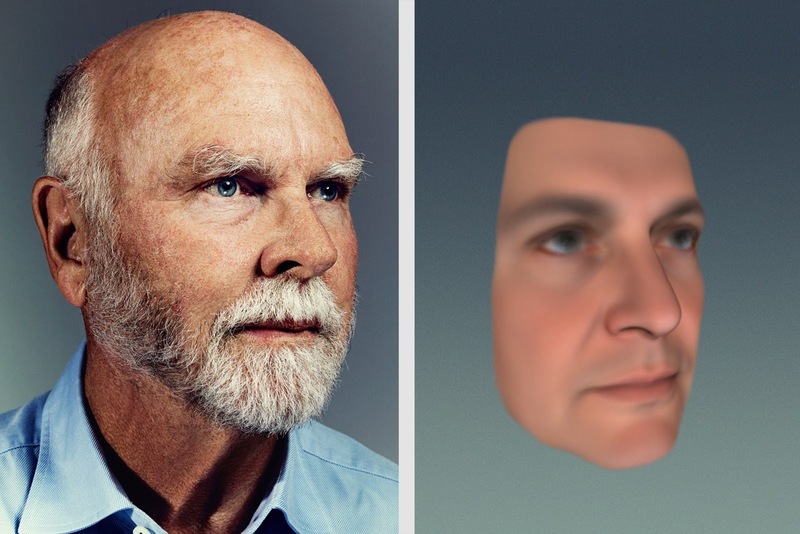 See also HLI and genomic prediction of facial morphology (source of image above of Craig Venter). Tyler Cowen explains the basics of the Efficient Market Hypothesis. For a deeper exploration, see Tyler Cowen and rationality, which links to his paper How economists think about rationality. Although you might think the strong version of EMH is only important to traders and finance specialists, it is also very much related to the idea that markets are good optimizers of resource allocation for society. Do markets accurately reflect the "fundamental value of corporations"? See related discussion here. This is an interesting idea, which has also been advocated to me over the years by my collaborator Carson Chow (blog). I'm optimistic that we're entering an era of large data sets that can be analyzed in situ using more sophisticated algorithms than simple regression. However, it will always be useful to have a better method for combining multiple data sets using only aggregate statistics. Bayesian methods for large-scale multiple regression provide attractive approaches to the analysis of genome-wide association studies (GWAS). For example, they can estimate heritability of complex traits, allowing for both polygenic and sparse models; and by incorporating external genomic data into the priors they can increase power and yield new biological insights. However, these methods require access to individual genotypes and phenotypes, which are often not easily available. Here we provide a framework for performing these analyses without individual-level data. Specifically, we introduce a "Regression with Summary Statistics" (RSS) likelihood, which relates the multiple regression coefficients to univariate regression results that are often easily available. The RSS likelihood requires estimates of correlations among covariates (SNPs), which also can be obtained from public databases. We perform Bayesian multiple regression analysis by combining the RSS likelihood with previously-proposed prior distributions, sampling posteriors by Markov chain Monte Carlo. In a wide range of simulations RSS performs similarly to analyses using the individual data, both for estimating heritability and detecting associations. We apply RSS to a GWAS of human height that contains 253,288 individuals typed at 1.06 million SNPs, for which analyses of individual-level data are practically impossible. Estimates of heritability (52%) are consistent with, but more precise, than previous results using subsets of these data. We also identify many previously-unreported loci that show evidence for association with height in our analyses. Software implementing RSS is available at https://github.com/stephenslab/rss. In recent interviews Julian Assange more or less claims to have the goods on Hillary. If I had to guess, I suppose he might have email traffic showing that she lied to congress, for example in the exchange above with Rand Paul, or perhaps in some of her answers to questions about her private email server. The most impactful time to release this information is probably just before one of the debates. Paul: "It’s been in news reports that ships have been leaving from Libya and that they may have weapons. And what I’d like to know is, that [CIA] annex that was close by [the State Department facility], were they involved with procuring, buying, selling, obtaining weapons, and were any of these weapons being transferred to other countries? Any countries, Turkey included?" If we lived in a country where rule of law applied, there might be serious consequences for this sort of thing. In the 21st century USA, we'll be lucky if any mainstream media outlets cover the story ;-) The NYTimes will probably just blame the Russians. Book review: 'The Pivot: The Future of American Statecraft in Asia', by Kurt Campbell: As Assistant Secretary of State for Asia in Barack Obama's first term, Kurt Campbell has a respectable claim to being the principal architect of the president's Pivot to Asia. Not surprisingly, then, his new book The Pivot: The Future of American Statecraft in Asia argues that the Pivot is the right policy for America in Asia over coming years, and explains how it should be elaborated and extended under the next president. ... Washington has never clearly identified or analysed the problem which the Pivot is supposed to solve, and The Pivot doesn't either. And yet there is no mystery here. America's problem in Asia today is that China seeks to take its place as the primary power in Asia, and the shift in relative power between the two countries over recent decades makes China's challenge very formidable indeed. This simple fact must be at the centre of any serious analysis of America's policy options in Asia. ... The practical steps taken under the Pivot have always been far too modest to meet the challenge America faces in Asia. Indeed, it is hard to imagine that they were ever intended to have more than a symbolic effect. The Pivot's architects apparently assumed that a merely symbolic reassertion of US power and resolve would be enough to make China back off and abandon its challenge. China's assertive posture in the East and South China Seas today is strong evidence that they were wrong. ... In particular, The Pivot has nothing to say about the most important single question facing America in Asia today: is it willing to go to war with China to preserve US primacy? This question, more than anything else, will determine the shape of future Asian order and America's role in it. China's recent conduct strongly suggests that it will only abandon its challenge to American primacy if it is really convinced that the answer is 'yes'. But nothing Beijing has seen or heard from Washington in recent years has convinced it of that, which is why it has been acting so boldly. 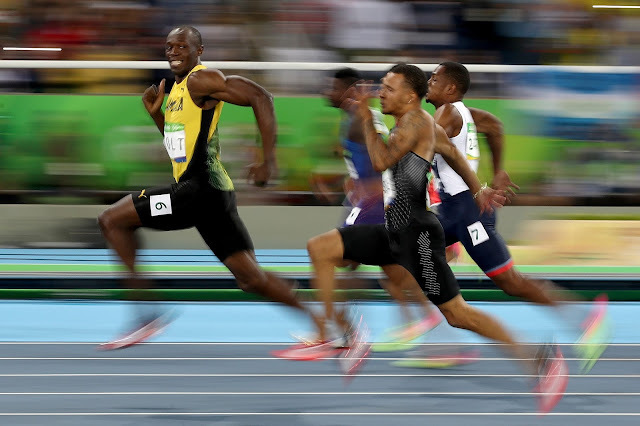 Unless that changes, the chances of facing down Beijing's challenge are very low. See also Red Star over the Pacific and The Thucydides Trap. I added the following in the comments. These questions of military/technological capability stand prior to the prattle of diplomats, policy analysts, or political scientists. Perhaps just as crucial is whether top US and Chinese leadership share the same beliefs on these issues. It's hard to war game a US-China pacific conflict, even a conventional one. How long before the US surface fleet is destroyed by ASBM/ASCM? How long until forward bases are? How long until US has to strike at targets on the mainland? How long do satellites survive? How long before the conflict goes nuclear? I wonder whether anyone knows the answers to these questions with high confidence -- even very basic ones, like how well asymmetric threats like ASBM/ASCM will perform under realistic conditions. These systems have never been tested in battle. Excellent podcast interview with Cheng Li of Brookings. Li has both a long historical perspective on Chinese politics (having lived through the Cultural Revolution) and a detailed understanding of current developments. He addresses topics such as technocracy, rule of law, Xi Jinping, corruption, princelings vs grassroots party members, etc. Sinica podcast: One of the most prominent international scholars of elite Chinese politics speaks about the past, present and future of factionalism, reform and technocracy in China and the nation's direction under Xi Jinping. 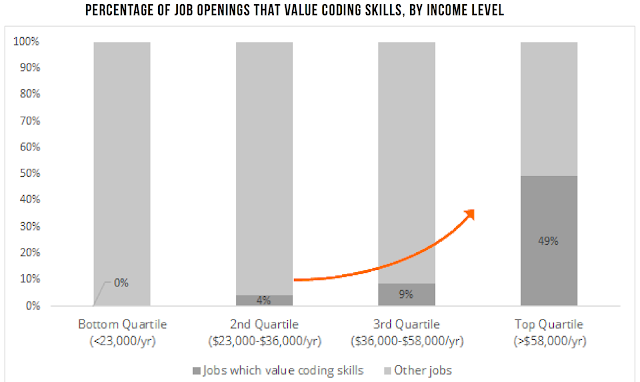 Half of all jobs (> $60k/y) coding related? See this jobs report, based on BLS statistics and analysis of 26 million job postings scraped from job boards, newspapers, and other online sources in 2015. We define coding jobs as those in any occupation where knowing how to write computer code makes someone a stronger candidate and where employers commonly request coding skills in job postings. In some cases, coding is a prerequisite skill for the role, such as for Database Administrators. In other cases, such as Graphic Designers, knowing how to code may not be required in all cases, but job seekers with relevant programming skills will typically have an advantage. 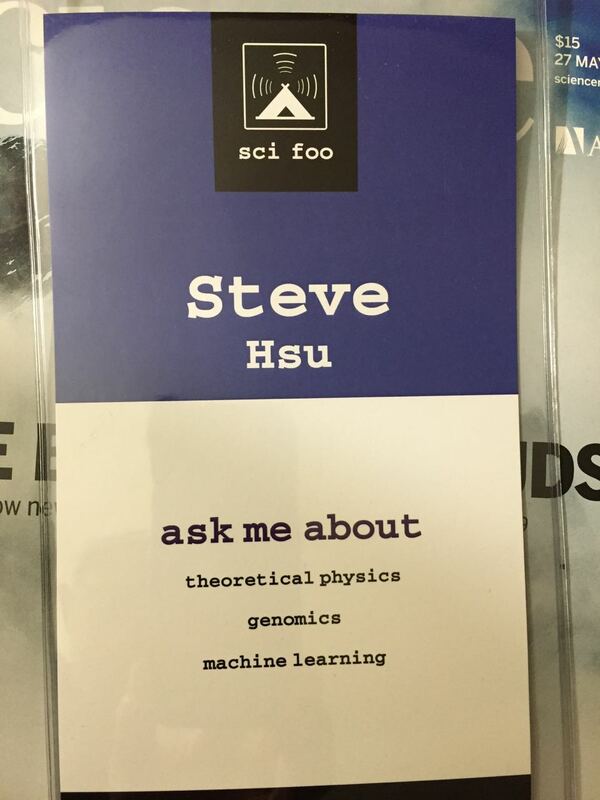 See also The Butlerian Jihad and Darwin among the Machines. 2. 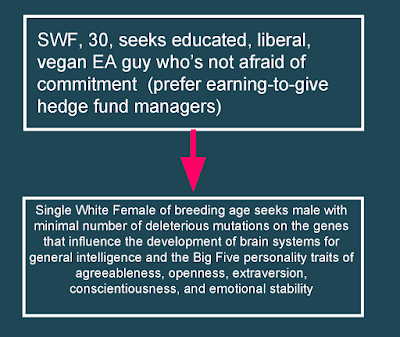 Greg comments on whether super smart people can have "normal" personalities. This is obviously not necessary for them to be viable contributors to civilization (and even less of an issue in a future civilization where everyone is quite a bit smarter on average). He posits that von Neumann might have been radically strange, but able to emulate an ordinary person when necessary. (The joke is that he was actually a Martian pretending to be human.) My impression from reading Ulam's autobiography, Adventures of a Mathematician (see also here), is that von Neumann was actually not that strange by the standards of mathematicians -- he was sociable, had a good sense of humor, enjoyed interactions with others and with his family. He and Ulam were close and spent a lot of time together. I suspect Ulam's portrait of vN is reasonably accurate. 3. The University of Chicago conference on genetics and behavior Greg mentions, which was hosted in James Heckman's institute, is described here, here, and here (videos). Here's a simple example which I think conveys the basic idea. Suppose you have 10k variants and that individuals with 5.5k or more + variants are at the limit of cognitive ability yet seen in history (i.e., at the one in a million or billion or whatever level). Now suppose that each of the 10k + variants comes with some deleterious effect on some other trait(s) like general health, mental stability, etc. (This is actually too pessimistic -- some will actually come with positive effects!) These deleterious effects are not uniform over the 10k variants -- for some fixed number of + variants (i.e., 5.5k) there are many different individuals with different levels of overall health/robustness. Let the number of distinct genotypes that lead to (nearly) "maximal historical" cognitive ability be n = (number of ways to distribute 5.5k +'s over 10k variants); this is a huge number. Now, we know of many actual examples of historical geniuses who were relatively healthy and robust. 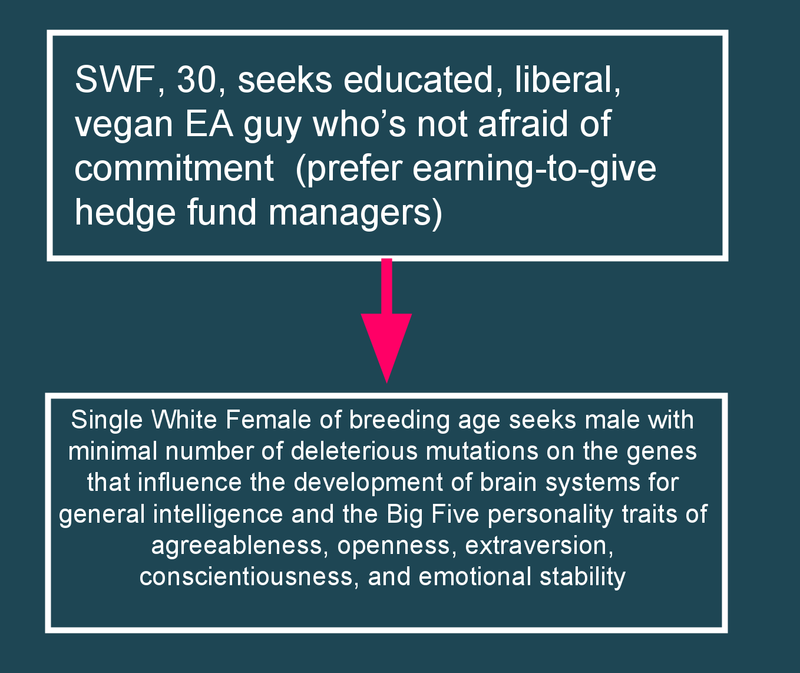 The probability that these specific individuals achieved the *minimum* level of negative or deleterious effects over all n possibilities is vanishingly small. But that means that there are genotypes with *more* than 5.5k + variants at the same level of general robustness. These correspond to individuals who are healthy/robust but have greater cognitive ability than any historical genius. ... Freeman Dyson speculated that, one day, humans would use genetic technologies to modify themselves for space exploration—making themselves more resistant to radiation, vacuum, and zero gravity, perhaps even able to extract energy directly from sunlight. Insertion of genes from entirely different species, like photosynthetic plant genes, brings a whole new meaning to the term GMO: Speciation seems a definite possibility. This video is one of the best introductions to the coming genomic revolution that I have seen. It emphasizes breakthroughs like CRISPR that will make gene editing simple, safe, and effective. However, it spends little time explaining how scientists will decipher genetic architectures (i.e., using big data sets and machine learning) in order understand which edits to make. Highly recommended. Unfortunately I can't embed the podcast here so you'll have to click through. See also Isabel and the Dwarf King. When we eat at a Chinese restaurant we usually get fortune cookies. Each cookie comes with its own mysterious message. Dad says that the messages are all written by people working at the ACME Fortune Cookie Factory. He says that he was once a fortune writer there. His masterpiece was a two-part message. The first message said WHEN YOU ARE HUNGRY EVERYTHING IS DELICIOUS. The second message said IF YOU ARE NOT HUNGRY, DON'T EAT. Millions of kids have pondered these messages. Dad says there is a life secret in these messages that most people miss -- including mom. Dad just wrote the messages. Other workers had to make the cookies. The best worker was a little alien robot -- no one knew where he came from. Dad felt sorry for the robot, and thought he was destined for better things. Dad helped him send out the message HELP! I AM A PRISONER AT THE ACME FORTUNE COOKIE FACTORY. Dad says he doesn't know what happened to the robot. Who wouldn't trade their stressful modern lifestyle for an off grid homestead in British Columbia? Lovely family, beautiful locale. 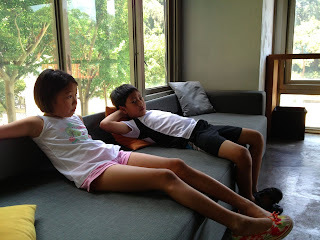 Solar + Li batteries + old school technologies allow sustainable living without discomfort. Complex trait genetics has been revolutionised over the past 5 years by developments related to the concept of heritability. Heritability is the fraction of phenotypic variation that can be attributed to genetic mechanisms (mostly we focus on narrow-sense heritability, which considers only additive genetic effects). Since we cannot identify and measure the causal genetic mechanisms, a traditional approach has been to use pedigree relatedness as a proxy for the sharing of causal alleles between individuals. Pedigree relatedness even came to be seen as central to the concept of heritability, which perhaps explains why it was not until 2010 that it became widely appreciated that genome-wide genetic markers (SNPs) offered at least a "noisy" way to directly measure causal alleles, and hence a new approach to assessing heritability. This approach is "noisy" because SNPs generally only tag causal variants imperfectly, depending on SNP density and linkage disequilibrium, and many SNPs may tag little or no causal variation. So genome-wide SNP-based heritability estimates are difficult to interpret, but they can provide a lower bound which was enough to show that SNPs usually tag much more causal variation than can be attributed to genome-wide significant SNPs. Another big step forward has been that heritability can be attributed to different genes, genomic regions or functional classes, and for many phenotypes it is found to be widely dispersed across the genome, with relatively little concentration in coding regions. Further, heritability has become a unit of common currency for gene-based tests and meta-analysis. I will review the ideas and the underlying mathematical models, and present some recent results. 1. He notes that after a few hundred years, it's highly likely that a given descendant carries no actual DNA from a specific ancestor (e.g., most descendants of Shakespeare alive today have none of his DNA). I've always felt that the real weakness of GCTA is the assumption of random effects. A consequence of this assumption is that if the true causal variants are atypical (e.g., in terms of linkage disequilibrium) among common SNPs, the results could be biased. It is impossible to evaluate this uncertainty at the moment because we do not yet know the (full) genetic architectures of any complex traits. See also Heritability Estimates from Summary Statistics, No Genomic Dark Matter, and HaploSNPs and missing heritability. Slides for this talk. Slides for another Balding lecture: Introduction to Genomic Prediction. Thanks to a commenter for pointing me to the article below. See also Trump, Putin, Stephen Cohen, Brawndo, and Electrolytes, Bear Baiting is Dangerous, and Obama: "Don't do stupid sh*t". My interview with Thomas O'Reilly of Trinity College Dublin, covering topics such as genomics, CRISPR, genetic engineering, computational genomics, technology startups.